Sorry I haven't posted in a while. Life got busy, we went on vacation, and I discovered Facebook (hours have been lost to Facebook, I can't believe it took me so long to join). Never the less, the crafts have continued (pics coming soon) as well as some kitchen updates. With all the projects on our list, Will and I decided we needed to add one more - the start of his semi-automated small scale brewery (it will make ~5 gallon batches). 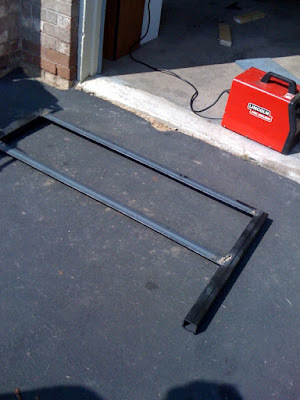 Will and I were able to borrow the welder and grinder to do some "homework" on our own. 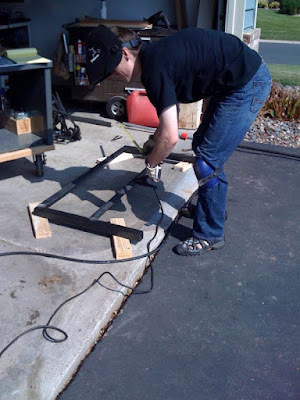 Once we got back to our house I was able to practice a little and LOVE welding (it's just like piping icing onto a cake or cookie). 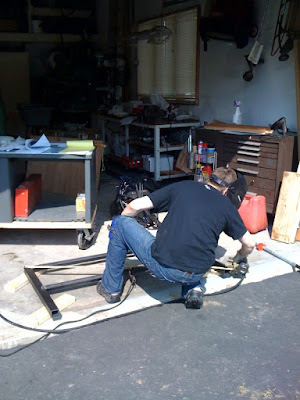 In fact, we were both so excited about our new welding skills we were brainstorming all sorts of things to built - Will suggested furniture, but I have a feeling you might see us on the Art Fair circuit next summer selling odd metal yard sculptures . 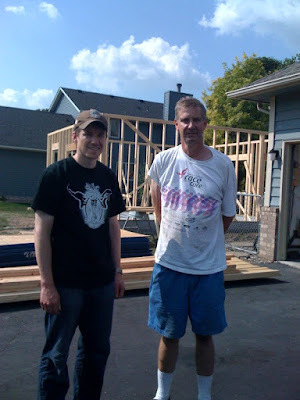 . .
More beer updates (as well as crafts) coming soon!